The number one goal of a kitchen pantry is to provide space for foodstuffs, small appliances, dinnerware, and linens. There are several ways to accomplish this goal. One of the most popular ways is through the use of baskets or basket shelving. This type of shelving can be ordered as a custom-made item that fits into a cabinet in the kitchen. 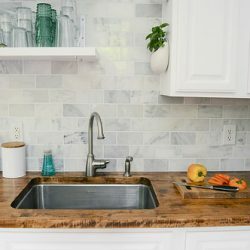 For instance, if the kitchen has oak cabinets, then having a pantry cabinet made of oak will help homeowners blend the pantry into the rest of the kitchen design. Inside the oak cabinet, basket shelves that slide or tilt out for easy access are the most helpful for tight spaces like those in Manhattan apartments. If you live in Queens or Brooklyn, then you understand the importance of space-saving designs. 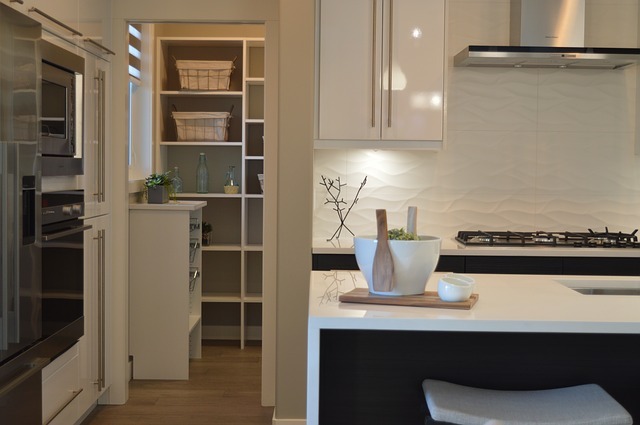 To maximize the storage area in a pantry, it is best to have the cabinet extend from floor to ceiling. Adding wooden drawers of differing widths and heights is a great way to leave room for things like saran wrap, boxes of pasta, and large bottles of soda. If you use a standard cabinet, then it is beneficial to make sure the cabinet has shelves of varying height for odd-shaped items like colanders, cheese graters, or blenders. 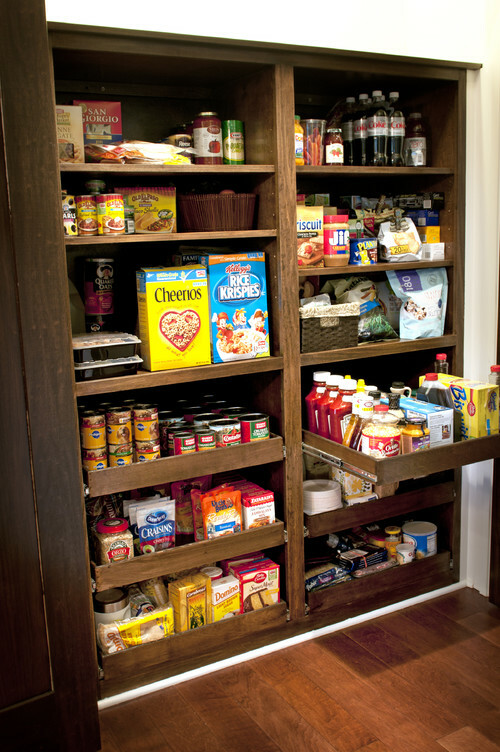 A kitchen pantry cabinet should always be easy to get to, and easy to organize. If a corner is all the room you have in your kitchen, then opt for shelves that extend on both sides. The shelves can be open, so you can reach everything quickly, or you can have them enclosed with cabinet doors that match the rest of your kitchen. Another idea is to put frosted glass doors in front of the pantry, so your stockpile is not easily seen. Adding a light at the top of the cabinet helps you find things easily, especially when you are in a hurry after commuting in Manhattan or Queens. For extremely small apartments, like those in Queens or Brooklyn high-rises, it is best to use a sliding cabinet that sits next to the refrigerator. The cabinet has open shelves that are accessed from either side of the pull-out. Pull-out cabinets can be small or large depending on the space you have in Manhattan, Queens, or Brooklyn residences. The best thing about pull-out pantry options is that they can be put in upper or lower kitchen cabinets, depending on your families needs. The smallest space saving places can be found in the kitchen drawers. Drawers can be fitted with dividers to help people organize their kitchens without adding more furniture to crowded spaces. If you have a stairway near your kitchen, you can choose to create a set of shelves and bins under the stairs for storage. The key is to use bins, baskets, or tubs that move easily for the best access. Armoires can be used for more than clothes. Any Manhattan or Brooklyn homes and apartments that have space for large pieces of furniture can be transformed by the right item. Any piece of furniture can be stained or painted to match the kitchen. Adding canisters, decorative baskets, or shelf dividers is a great way to transform the furniture item into a pantry area. Teacup hooks can be inserted into the back of the cabinet so coffee cups can be put out of the way. Wire baskets allow homeowners to store several items in one place. No matter what the size or shape of your kitchen, a little creative planning can help you put a pantry in place that serves all your cooking needs. 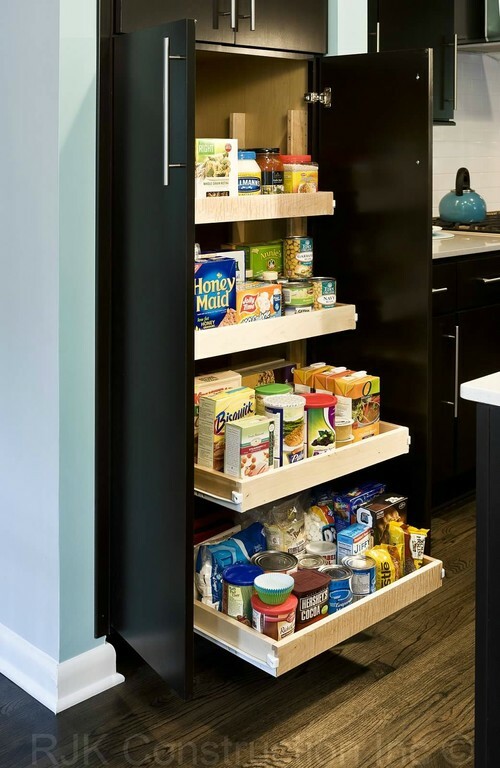 Taking advantage of custom storage options is one of the best ways to make a pantry fit seamlessly. The main thing to think about is the flow of the kitchen before making a final cabinet choice.